Doorway to the ‘Golden’ Temple in Patan. Although I trained as a botanist, picking up a PhD in Rhododendron in the 1990s, my principle role is now working with information about plants and how we handle it – rather than plants themselves. I thought my travelling days were over but last month was fortunate enough to find myself in Kathmandu, Nepal. The Royal Botanic Garden Edinburgh has been working on the Flora of Nepal for over a decade now. It is coordinating the production of the first comprehensive, scientific account of Nepal’s plant diversity. Outputs of the project include a database and set of scientific publications describing all the vascular plant species that occur in Nepal. It is also producing a set of more accessible guides to regions and topics for use by a non-specialist audience. Initially these more accessible products will be in form of booklets in Nepali and English but there is a potential to deliver interpretive materials electronically through mobile phone applications or over the web and to integrate this information with other information about natural history and culture. I was visiting the capital to investigate the potential for working with Nepali suppliers; how we might collaborate and how any development funding we used could be spent in country. I had talks with three software development companies, PagodaLabs, SoftNEP and Jasper IT and the directors of two trekking companies Yeti Travels and Social Tours. I also visited the International Centre for Integrated Mountain Development (ICIMOD) and my sponsor for the trip Samarth. I was impressed by the expertise in the software industry and the knowledge of the tour operators and NGOs. I’ve written a report on a range of ways forward and with luck this will lead to something of benefit to Nepal and plant conservation. I was accompanied in Nepal by project leader Mark Watson, designer Caroline Muir and Nepali botanist Bhaskar Adhikari but whilst I was in meeting rooms they were off in the field running workshops with local forest user groups. Alas my travel opportunity had stretched as far as Nepal but wasn’t going to get me into the mountains to see some plants. 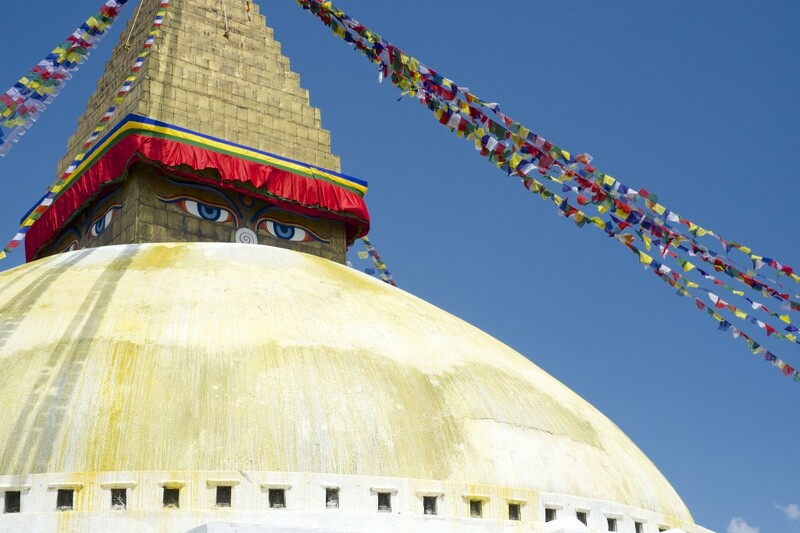 Britain and Nepal have had close relations since the Treaty of Segauli was ratified in March 1816. This means that in 2016 there will be a celebration of the two hundred years of peaceful collaboration between the two nations. We are keen the Flora of Nepal is part of this and were invited to the British Embassy for discussions over lunch with Ambassador Andy Sparks. This was a big change from Caroline and my usual routines of oscillating between our computers and the canteen. I had some time on the final Saturday and Sunday to do a little sightseeing before my night flight home. I practice as a Zen Buddhist in a Vietnamese tradition so it was fascinating to visit the very different temples in Patan (South of Kathmandu proper) that are ornately decorated in the Vajrayana Buddhist tradition mixed in with Hinduism. As an example if you click on the photo of the doorway to a temple in Patan you will see a Buddha image at the top of the pillar and the Hindu elephant headed god Ganesh at the bottom. 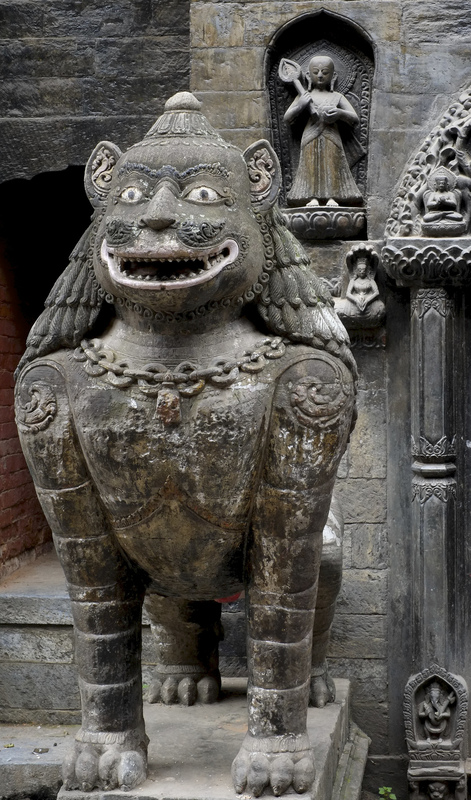 The Patan Museum on Patan Durbar square was a special treat and the giant stupa a Boudha a must-see.